I am continuing the theme of family this Sunday (late as it is) and I am going to start with my maternal grandparents (and specifically, my grandfather). These were the grandparents I grew up with. They lived close to us and we visited with them often, went to church together, spent holidays together—all in our small town. They usually kept us after school, and during the summer at their beach cottage, when my mother worked. My grandfather’s name was Hythe Addison Reid. He was named after both his grandfathers, but the grandfather whose name was not picked as the first moniker gave him the nickname “Pete” which stuck with him all his life. He grew up within walking distance of that grandfather and a short wagon ride from his other grandfather, on a farm in Nixonton (near Elizabeth City), NC. 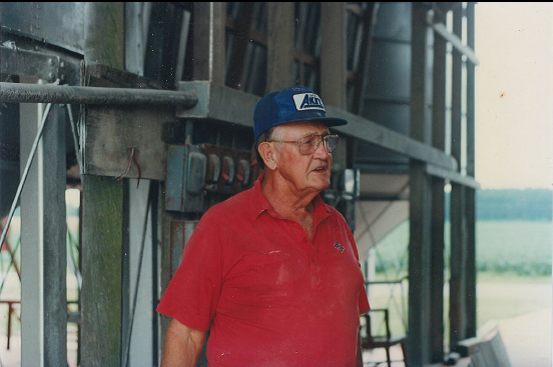 Everyone in his family lived on a farm, and all his ancestors had been farming in the area since the late 1600s. Dado, as we called him, was a little larger-than-life. He was opinionated and stubborn, kind and fun and he loved a good debate (as long as he won!). He always had a story to tell—of his golf game, of friends from long ago or of those he saw yesterday, of his family. He was a farmer and a philosopher (actually, I don’t think you can be a farmer without being a bit of a philosopher), and he had some radical ideas. He inspired my interest in agriculture, honed my love of the beach, and shaped my liberal political leanings. These “family moments”, for me, are becoming a time for me to reflect and appreciate the influence my family has had on me. Thank you Molly. Miss my daddy so much.